Last week, I was invited to a meeting for rehabilitation managers in my community. The title of the meeting was, “New Graduates and Generation Y: Training for Emotional Intelligence and Face-To-Face Communications Skills.” Uh-oh. I was invited because of my role as an academic faculty member in clinical education, but – with a 1978 birthday – I’m considered a member of Generation Y (also known as Millennials) according to some sources. I’d never been to one of these meetings before, but I knew some of the key players were of the Gen X and Baby Boomer generations. I’d be lying if I said I wasn’t a little worried I’d be spending the better half of the morning defending my students and myself. 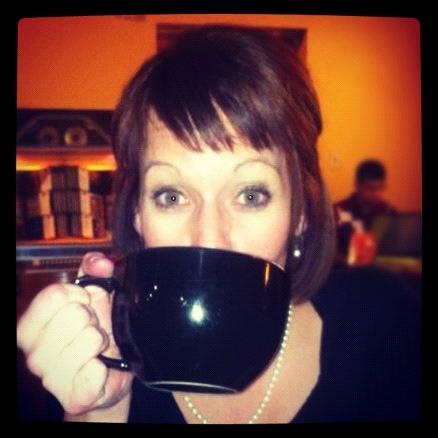 But I knew I had an important perspective to share; that I was in the unique position to speak on this issue as an educator and a (maybe, almost) Millennial. If you’ve spent much time with me, you know that I’m completely turned off by the entire kids these days concept. I don’t think there’s anything wrong with kids these days or society today. In fact, I think people and the world generally get better as time goes on. We are safer and smarter than we’ve ever been. And, while kids these days may be different (and why wouldn’t they be – the world is different), they have unique ideas and strengths and skills that I don’t possess. I can learn a lot from people younger than me. And that’s a good thing. Perhaps that is why I was drawn to pediatric physical therapy and education. Students and new grads don’t seem to have the listening skills they once had. And they don’t have the self-awareness to reflect and correct, and they often get defensive or emotional when criticized. Students and new grads aren’t as dedicated to the profession. They want to leave as soon as the day is over. We used to stay 10 or 11 hours if needed to get all our work done. Students and new grads are always texting, playing Words with Friends, and checking Facebook. They don’t have good professional boundaries when it comes to checking and using their mobile devices. Students and new grads know how to Facebook and text, but they struggle with “real-life” communication and relationships. This generational divide isn’t unique to physical therapy or health care – the same conversations are happening in many professions. And it isn’t unique to the Millenials – concerns about kids these days is a tale as old as time. What’s different this time, I think, is that some of the unique characteristics seen in the Millenials may be less about a specific generation of young people and more about a vast change in the world we live in, the way we do business, and the way we communicate. In many ways, Millennials represent the role that technology – particularly social networking and mobile devices – now plays in our lives. We may not be able to just wait them out or ask them to grow up or adapt or change to conform to us. The Millennials may represent what we need to become in order to stay relevant. And that can be a frightening prospect for many of us. Over the next several posts, I’ll tackle these generational issues in a series I’m calling (you guessed it) Kids These Days. My next post will be about the first item on the list: students’ and new graduates’ ability to listen, communicate, and self-reflect in today’s fast-paced world of health care. In the meantime, I’d love to hear your thoughts on the next generation of health care providers. What do you think about kids these days? What differences are you seeing in your classrooms, hospitals, and clinics? What strategies are you using to close the generation gap? Using the iPad for productivity: these are a few of my favorite apps. According to yesterday’s post from The Chronicle, tablet ownership has more than tripled among college students in the past year. Approximately one quarter of college students report that they own a tablet, up from 7% just one year ago. I haven’t seen such a drastic a shift among my students, but I have noticed more students bringing iPads to class this semester. I would estimate that at least once per week I have a student question me about my iPad because she’s thinking about purchasing one herself. For the first time, many of my students are showing an interest in purchasing eTextbooks instead of paper books. Like it or not, iPads are in our classrooms and more are on the way. This provides educators a wonderful opportunity to guide students in learning how to use the iPad as more than an email reader or gaming device. But the first step for us faculty is to learn to use the device ourselves. I’ve only had an iPad about a year, so I am hardly an early adopter. But I was one of the first people in my professional and social circles who began using the iPad as a primary device for work and productivity. Part of that was timing – just a few weeks before I received my iPad, my personal laptop stopped working and I was determined to avoid another big technology purchase. I was told by many iPad-owning friends that the device would never be suited for true productivity, that it was more “for fun.” However, I quickly learned that – with a few key accessories and a couple of good apps – I was able to use my iPad to do anything my laptop could do (and sometimes more). When I traveled to a conference for the first time this year with only an iPad in my luggage (no bulky laptop and charger), I felt so free! I am in health care education, and it seems that – when we start discussing apps for faculty – everyone immediately mentions discipline-specific apps: medical reference, anatomy apps, and apps that can be used in clinical practice. Those apps can be very useful, but I think we should start more broadly. The best way to help faculty learn to really use iPads is to focus on apps that everyone can use (regardless of discipline) to manage productivity and workflow. Once we’ve discovered how to use the device for day-to-day tasks, we can add specialized apps for teaching and research or apps that are specific to our discipline or area of expertise. As frequently happens in teaching, students may model themselves after us and discover how they can also use the iPad for productivity, learning, and practice. In that spirit, I’d like to share how I use my iPad in my role as a faculty member, as well as some of my “go-to” apps. File storage and management. Dropbox is probably my #1 app for file storage and management. Many (if not most) of my productivity apps sync with Dropbox, which means I can pull documents from Dropbox into other apps to edit, read, etc. Then I can put them back when I’m done. Dropbox syncs across all my devices and computers, which is convenient, efficient, and eliminates the need for a USB drive. I have the free version of Dropbox which includes 2GB of storage. That’s plenty for me (so far). Presenting. I’m trying to get away from traditional lecture-style teaching, but when I have to create some slides and give a presentation, I use Keynote for iPad. It’s very easy to use and even a little fun to build a presentation using the app. While I understand it is lacking some features compared to Keynote for Mac (which I’ve never used), I prefer to keep my presentations clean and simple so it seems to have everything I need. It includes a handy little laser pointer (just touch the screen and hold) and nice slide and notes views when in presentation mode. Keynote for iPad converts presentations to and from PowerPoint with little to no loss in formatting. When it’s time to present, I just plug into the projector with my VGA adapter and use Keynote Remote for iPhone to advance my slides. At about $10 it is a little pricey for an app, but well worth it for me. Writing. I do most of my heavy-duty writing on my laptop. If I wanted to do a lot of writing on my iPad, I’d probably just use Pages. I wish I lived in a totally Apple world, but the truth is that my work computer is a PC (not by my choice) and most of the colleagues with whom I collaborate use Microsoft Word, so it makes the most sense for me to stick with Word. I know many faculty who use an app like QuickOffice to access Word files and others who workaround by editing documents using Google Docs. But I’ve decided that, for my purposes, my iPad is better used for simply writing. I save the “word processing” (formatting, headings, bold, italic, etc) for a program on my computer (Word) that’s designed to do so. For the limited amount of writing I do on my iPad, I usually use Simplenote, which is just as it sounds. Simple. Simplenote can be used to write anything – lengthy documents, lists, quick notes, etc. Notes are organized by tagging and can be shared and emailed. When I want to convert a Simplenote to a Word Document, I just open the web-based version of Simplenote on my computer or email myself the note and cut and paste into Word. Of course, a wireless keyboard is a critical accessory if you want to do much writing on your iPad. Notetaking. Although I know there are many other apps with simpler interfaces, I love Notetaker HD for handwritten notes. I will admit that it isn’t always intuitive to use, but it has tons of features and I love the ability to zoom for smaller, more legible handwriting. Notetaker HD doesn’t sync with Evernote, but I use the emailing feature as a workaround to put my Notetaker notes into Evernote notebooks. I’ve tried a couple of different styluses (styli? ), and think the Bamboo stylus by Wacom is worth the $30 price tag. Reading. For reading books, I have the Kindle app as well as the OverDrive app for books lent from my local library. I have recent downloaded the VitalSource app for use with Elsevier eTextbooks. But for reading documents (usually in PDF format), I use Goodreader. Goodreader allows me to read documents in almost any format and mark up/annotate PDF documents. It syncs with Dropbox and folders and files can be downloaded to Goodreader for offline reading. Goodreader costs $5, but it’s file management capabilities put it ahead of other free PDF readers in my opinion. Whiteboard. I don’t use a whiteboard very often, but I do like Airsketch for teaching or meetings. It allows me to use a url on another computer on the same WiFi network to display my iPad whiteboard in real time. This means I can project my iPad onto my laptop and project it without being tethered to the projector, or students/meeting participants can actually pull the whiteboard up on their own computers. I can use a plan white background or import images or PDF files (i.e. PowerPoint slides converted to PDF) as a background. There is also the capability to record a video of the Airsketch session. I have the free version since I’m not a heavy user, but I know others who have the much more feature-rich paid version and use it often. Reference management. When I was working on my PhD, I used EndNote faithfully. But I always felt like it was a bit clunky and buggy, and it never seemed to do what I wanted it (or thought it ought) to do. About a year ago I discovered Mendeley and never looked back. I love the web importer and the watch folder and file organization features. The Word plugin makes citing easy. I’m intrigued by the social aspect, although I haven’t really used that feature yet (mostly because few of my colleagues are users). Like Evernote, I much prefer the desktop version of Mendeley over the iPad app, but it is handy to have my reference library and article links or PDFs at my fingertips. So that’s just a snapshot of how I use my iPad to manage my faculty workload. I’m sure there are many more great productivity apps and endless opportunities to model professional tablet use for our students. I’d love to hear from you. Are you ready for iPads in your classroom? Do you have your own iPad? If so, how do you use it for work? What are your favorite apps? Is the Bumbo a no-no? Although the statement is in quotation marks on their site, the manufacturers don’t give credit to the individual who provided the quote, nor do they cite any studies. To my knowledge, there is no research to support or refute the claims made by Bumbo International. I own one of these seats. I have used these seats with my own children as well as the children I’ve worked with. I have recommended parents purchase these seats. I’m not sure whether the seats accomplish what they claim to accomplish, but I’m not sure I care because – and here’s where I’m going to say something you never thought you’d hear a pediatric PT say – development is about so much more than the position of the pelvis (cue angry comments from every other pediatric PT who reads this post). Notice that he is slouching with his head and trunk leaned to the side. You can’t see his pelvis, but I imagine it is tipped backward (although I don’t blame that on the Bumbo – at this age his pelvis would be tipped backward in any form of supported sitting). At 2 months old, he hasn’t developed the ability to consistently bring his hands to midline and reach for toys in supported sitting, so there’s really nothing he can DO in the seat at this developmental stage. Bottom line is, If a baby looks like this in the Bumbo, it is a good indication he isn’t probably ready. This isn’t the greatest picture of his posture in the seat. He looks pretty upright, and you can tell that he is even leaning his trunk forward away from the back of the seat rather than collapsing into it. This makes me think his pelvis is probably tipped forward, but I can’t tell here and I can’t really remember. What I do remember about this day and this picture, however, is how excited he was to be sitting up and playing with the toy in front of him. Bumbo seats were pretty new at that time, and the tray wasn’t on the market yet, so I covered a cardboard box with contact paper, cut out one side, and turned it upside down in front of him as sort of a table. Using a Bumbo seat with a tray gave my son – who wasn’t yet sitting on his own but was very much ready to get upright and see the world – the opportunity to practice his reaching skills and work on his upper trunk muscles in preparation for sitting. And he was delighted doing it, and I was delighted to be interacting with my infant like he was a real boy. My children are typically-developing, but the Bumbo has also worked well for many infants and toddlers I’ve seen with developmental disability and delay. Infants typically begin sitting independently between 5-8 months. The Bumbo seat can allow a similar-aged child with delays to sit supported on the floor, interacting with his peers, siblings, and/or caregivers at eye-level. This is so critical for social development, and I’m not aware of any other piece of commercially available equipment at this price point that allows for this. For kids with cerebral palsy or similar diagnoses who tend to arch with stiff muscles, the Bumbo seat can keep their hips bent and help “break up” extensor tone and allow them to sit up and play. For other kids with diagnoses such as Down syndrome that tend to have low muscle tone and difficulty holding themselves up against gravity, the seat gives them the support to sit upright (as long as they do have some head, neck and upper trunk control) for the first time and interact with their environment, peers, and family in a meaningful way. In my opinion, the Bumbo seat can be very effective when used with the right child at the right time, allowing for good practice of upper trunk and head control – as well as arm use and social interactions – in upright sitting. It is true that, for some kids, the deep well of the Bumbo seat does lead to a flexed back and rounded pelvis in sitting. However, for the age children the seat is designed for (pre-sitters and children with emerging sitting skills), a posteriorly tilted pelvis and rounded spine are a typical sitting position. Once baby is able to sit independently with an upright pelvis and spine, she wouldn’t need the seat anyway. 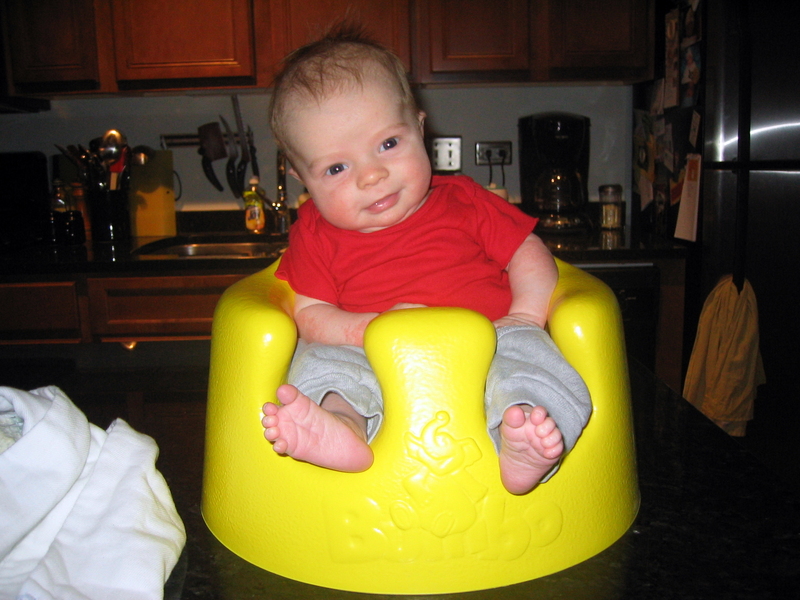 Like any piece of equipment, the Bumbo seat should be used in moderation. Floor play (tummy time!) is always best for development and learning. And certainly a baby who is an emerging sitter should be practicing that skill outside this seat as well. Part of learning to sit is learning to move in and out of sitting, shift weight, fall and correct, and none of those things can occur in the Bumbo. I do disagree with the recommendedation that Bumbo be used for babies age 3-10 months. I think 3 months is a little early for most babies. And, once a baby is able to sit alone (typically between 5-8 months), there really isn’t any benefit to this seat . By about 6 months, most babies are starting to learn to move by creeping, crawling, or rolling and aren’t going to want to be “stuck” in this chair, nor should they be. I’d say this chair is most appropriate for a typically-developing 4-6 month old, and – realistically – most kids aren’t going to use this seat for more than 1-2 months, tops. For families with infants who are delayed or have special needs, the seat may be used for a longer period of time. And it is nice in that it is a readily-available and reasonably-priced seat that may also be used by the baby’s non-disabled peers, so it doesn’t look like a piece of “special” equipment. Of course you should always talk to your health provider or therapist about your child’s unique situation, and – to avoid injury – the Bumbo should NEVER be used on a raised surface. The Bumbo is certainly not a “must have” for most babies. But if you think the Bumbo will work for your family and you’re willing to shell out $40 for a seat that may only be used for 1-2 months, I say the Bumbo is a go-go. Before I go on, I want to point out that it is easy to say – in hindsight – that this tragedy could have been prevented if someone had been “paying attention.” For the most part, I think we all make the best decisions we can with the information we have. Sometimes we don’t do enough, do nothing when we should have done something, or do what turns out to have been the wrong thing altogether. My heart goes out to all the students, teachers, and families who have experienced this nightmare, and I can only imagine the innumerable conversations among them beginning with the words “If only I would have….” I myself have experienced a situation with a tragic and irreversible result, and I understand the depth of that kind of guilt. I am heartbroken for all involved and – simply put – no one is to blame except for one very disturbed young man who did something to ruin the lives of many, including himself. But I do think this tragedy and the events leading up to it illustrate the need to re-examine the conventional wisdom that teachers should never “friend” their students. Last summer, my home state of Missouri passed a law preventing teacher-student “friendships” on social networking sites. The ill-thought-out law was designed to “protect” students from inappropriate interactions with teachers, and was repealed a few months later. I think what happened in Missouri is a perfect example of how social media (and teachers for that matter) tend to get demonized, usually by people who’ve never logged onto Facebook themselves. It is easy to fear what you don’t understand, and I’m sure Missouri lawmakers thought that “protecting the children” would be popular with voters. But we have to realize that social media isn’t a whole new world of communication. It is simply another way to communicate. A teacher who would interact inappropriately with a student (and – despite what the media would have us believe – I don’t think there are many) is not going to be deterred by a law preventing them from “friending” a student. And, frankly, there are a lot of positive interactions that could occur between students and teachers on Facebook and other social networking sites (not to mention the growing body of evidence, including some of my own work, that social media can actually be an effective part of education). When teachers aren’t allowed to “friend” students – whether because of State law or simply an unwritten “rule” dictating that it’s inappropriate or creepy – there are missed opportunities for meaningful interactions in a space where kids today are doing a whole lot of interacting. And what about the student like TJ Lane, who uses social media as a place to write things he can’t figure out how to say out loud? As a place to cry for help? If no one’s listening, then no one can reach out. No one can intervene. Nothing can change for TJ. And we saw the absolute worst outcome from a situation like that this week in Ohio. 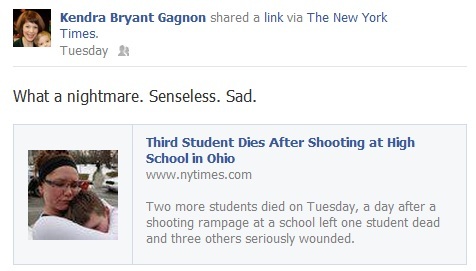 I don’t mean to pretend that there aren’t serious considerations for teachers who “friend” their students. As an educator myself, I’ve done a lot of soul-searching on the subject (although, admittedly, it’s a bit less messy for me since I teach graduate students who are all adults). I’ve come to the conclusion that I’m okay with “friending” my students and former students, but I don’t ever make the request. I understand the privacy settings on all my social networks, and I use the lists feature on Facebook. I monitor my accounts closely. I don’t pose with alcohol and never post or allow myself to be tagged in any picture that could be viewed as questionable or suggestive. I am certainly not afraid to share my personality and am not shy about my parenting philosophies and political leanings, but I strive to also post content that is relevant to who I am as a professional. I abide by the “front door” rule: if I wouldn’t post it on my front door, I won’t post it to social media. By letting my students into my social media “world,” I hope to serve as an example of how social media can be used to develop an online identity that is honest yet thoughtful, and that matches who you are and how you want others to see you. Social media can help you meet people, brand yourself, learn new things, make connections, and get ahead. And that’s probably the most important lesson that can be taught to a student on Facebook. 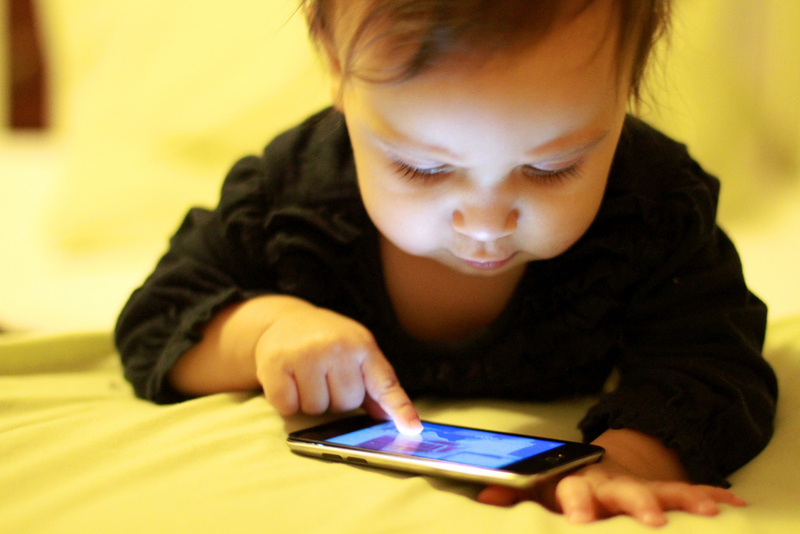 Social media are the way the next generation of students are communicating, like it or not. A lot of bullying and cries for help are now occurring in the form of posts, tags, tweets, and uploads. We are inundated with stories of young people posting inappropriate and damaging things on social media, and I’m convinced we have to do more than just “pay attention.” We have to act when we see something troublesome and teach kids how to use social media thoughtfully and responsibly. And I’m not sure how to do that without us grown-ups taking a deep breath and hitting the “accept friend request” button.